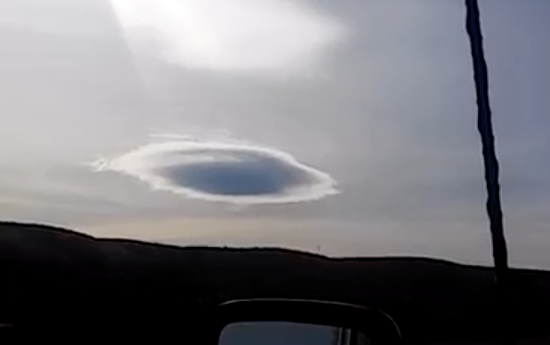 UFO SIGHTINGS DAILY: UFO Over Arizona Causes Reflection Of Itself On Clouds Above, Arizona, Jan 2016, Video, UFO Sighting News. 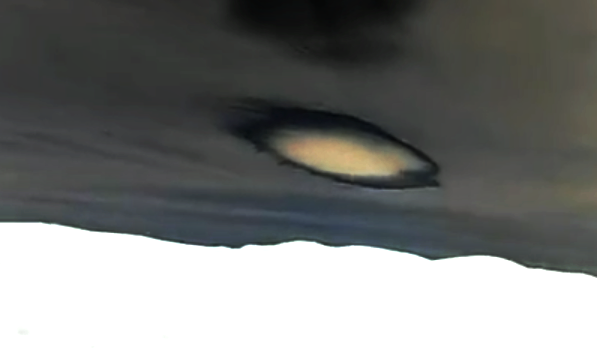 UFO Over Arizona Causes Reflection Of Itself On Clouds Above, Arizona, Jan 2016, Video, UFO Sighting News. 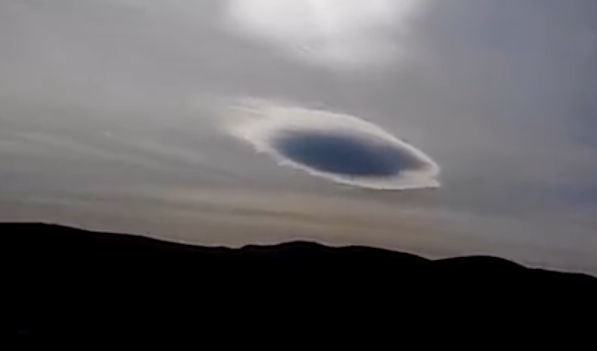 This UFO was noticed when the sun lit it up and caused a disk reflection above it on the clouds. Only a metal reflective surface could do this, and as you see, the dark area of the cloud is the actual UFO. The lighter parts are the thin cloud as the sun shines through it. Even cloaked in a cloud, this is clearly a UFO. Below is the negative colors, making the UFO stand out from all its surroundings. Its metallic surface is a different material than anything in the sky or the ground.